Muddy Paws Farm is PetConnect Rescue’s refuge for homeless dogs on their path to new, loving forever homes. This transitional residence is a beautiful 5 acre property located in Mt Airy, MD. The facility has been in operation since 2010 and is currently a way station for some of our dogs arriving from shelters. Muddy Paws Farm is not a shelter. 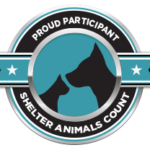 It is a licensed, residential home with live-in caretakers that provides a large foster arrangement for some of PetConnect Rescue’s dogs; therefore, it is only open to the public during scheduled events and by appointments exclusively. Our guest dogs are primarily housed on the lower level of the house, where there are separate living spaces for each dog, as well as a bathing area, laundry facilities, and direct access to the large outdoor fenced exercise area. On the main floor of the house are the caretaker’s private living quarters, as well as a communal kitchen, living room and office, where potential adopters can meet the dogs they are interested in and volunteers are welcome during their allotted shifts. Outside, there are multiple fenced areas where dogs can safely run and play. There is a beautiful brick patio with pergola providing a great place for the animals and their human friends to interact and visit together. A “memory path” has been started, and bricks are available for purchase and engraving in honor or memory of your special four-legged friend. All proceeds go to PetConnect’s never ending fundraising efforts to support this facility, as well as all the cats and dogs we take in to our umbrella of care until permanent homes are found. For more information on the bricks, please click here. In addition to giving animals a temporary home, Muddy Paws serves as a site for adoption and fundraising events, as well as small community gatherings. It is also a location for volunteers to interact directly with our rescued dogs and learn new training and socialization techniques. Donated items such as leashes, collars, food, bedding and crates are kept here, giving adoption coordinators and foster families a centralized location for obtaining supplies. If you are interested in donating supplies, please visit our Wish List page by clicking below. To volunteer at Muddy Paws, please fill out and submit the application below.